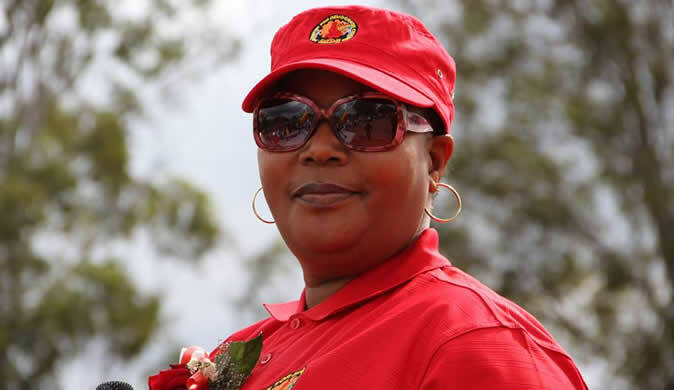 The Thokozani Khupe-led MDC-T has petitioned the High Court seeking an order to compel Treasury to pay it over $1,8 million which the party was claiming under the Political Parties (Finance) Act. Through its legal representatives, Lovemore Madhuku Lawyers, the party recently issued the summons against Justice, Legal and Parliamentary Affairs minister Ziyambi Ziyambi in his official capacity as a government official responsible for the administration of the Political Parties (Finance) Act. In the same litigation, the MDC-T also cited Finance and Economic Development minister, Mthuli Ncube in his official capacity as a government official in charge of the Consolidated Revenue Fund set up in terms of section 302 of the Constitution of Zimbabwe. According to the MDC-T, the basis for its claim of the money is that in 2018 it contested the general elections during which time it obtained more than 5% of the total votes cast in that election and as a result qualified to be paid money appropriated by Parliament for political parties. "Plaintiff (MDC-T) applied to the first defendant (Justice and Parliamentary Affairs ministry) under section 4 of the Political Parties (Finance) Act and was approved as a qualifying political party," the party said. "For the financial year ending December 31, 2018, the first defendant, despite receiving assurances from the second defendant (Finance ministry) an amount of $1 800 000 meant for the plaintiff, has refused and/or neglected to pay to the plaintiff that amount." The MDC-T further said despite several demands to have the cash released, both ministries had not budged thereby forcing the political party to approach the court for recourse. "Wherefore plaintiff claims: an order directing the defendants, jointly and severally, one paying the other to be absolved, to pay to the plaintiff from the Consolidated Revenue Funds an amount in the sum of $1 800 000," the party said while also claiming interest and cost of suit.